WRML: Haemonchus contortus – barber’s pole worm – what’s in a name? WRML.20120807.Haemonchus contortus – barber’s pole worm – what’s in a name? ‘No time for a ‘proper’ WormMail right now, so here is an interesting little aside (well, I think it is interesting) regarding Haemonchus contortus – barber’s pole worm. 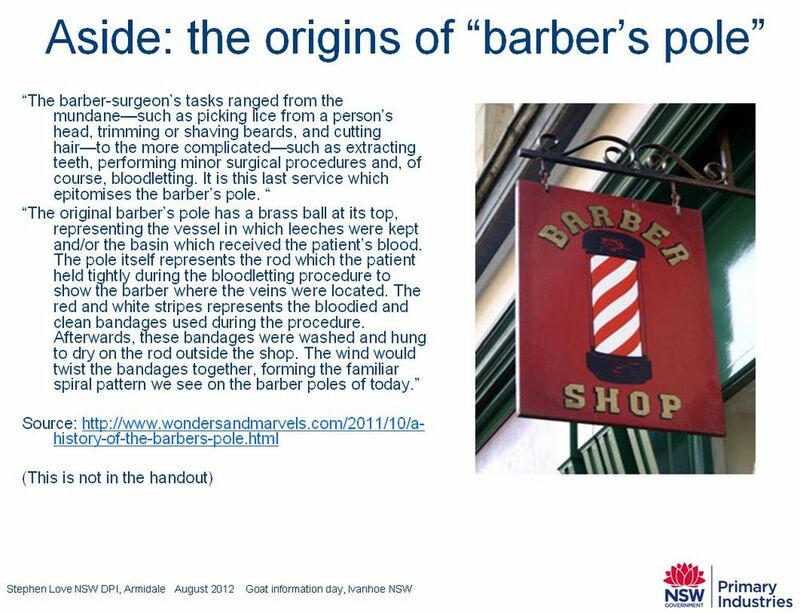 (I knew about barber’s poles, but not their background). As to "Haemonchus", it means ‘blood spear’ (source: Georgi’s parasitology). Classicists among you would have known that already.